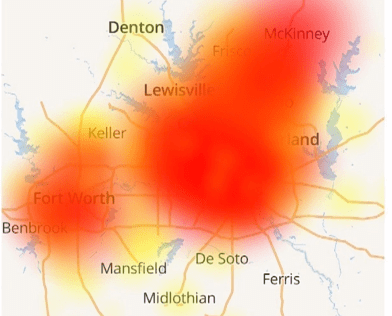 AT&T customers across northern Texas suffered a day-long outage selectively affecting television, phone, and internet service after an electrical fire at an AT&T facility in Richardson disrupted service and exposed the phone company’s lack of network redundancy. Customers noticed the outage Monday morning at around the same time the Richardson fire department was dispatched to AT&T’s switching office at 1666 Firman Drive. 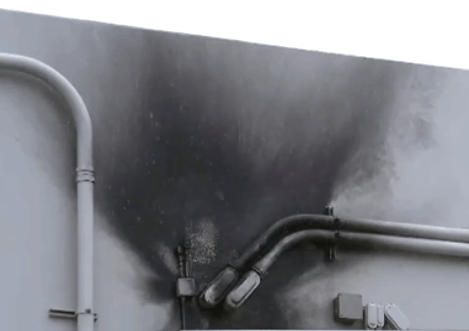 Reporters on scene saw smoke marks on the side of the building, and a later incident report detailed an electrical fire that damaged part of the building and the primary and secondary backup electric systems. An early tweet from AT&T claimed the outage was caused by a direct lightning strike on the building. AT&T has since retracted that assertion and claims the cause of the fire is currently under investigation. AT&T’s smoke stained building in Richardson. While causing a nuisance for residential customers, the extended outage caused financial losses for area businesses that rely on AT&T phone and internet services to take orders and process credit card transactions. ATMs that were in service provided needed cash to spend in area establishments, because credit cards could not be accepted due to the outage. Some customers wondered why AT&T did not have network redundancy to act as a backup after the fire. AT&T had no comment. The company does not plan to issue service credits for the outage unless customers specifically ask for one. Service was restored at around 10:30pm CT.